This badge was issued to Loïc DELSIGNORE on 19 Sep 2018. 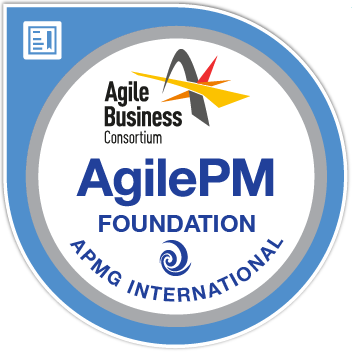 Badge holders have the knowledge of the key principles and terminology within Agile Project Management. They have an understanding of the underpinning philosophy and principles of Agile, as well as the lifecycle, techniques and products of an Agile project. Badge holders have passed a multiple choice exam, scoring a minimum of 25 out of 50 marks available (50%). The exam is closed-book, 40 minutes in duration.